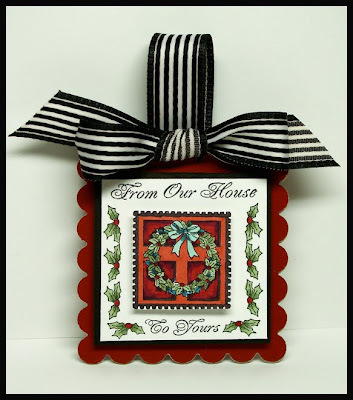 Welcome to JustRite Stampers Christmas in July Blog Hop. Switching to winter mode was a welcome relief as temptures soar outside. 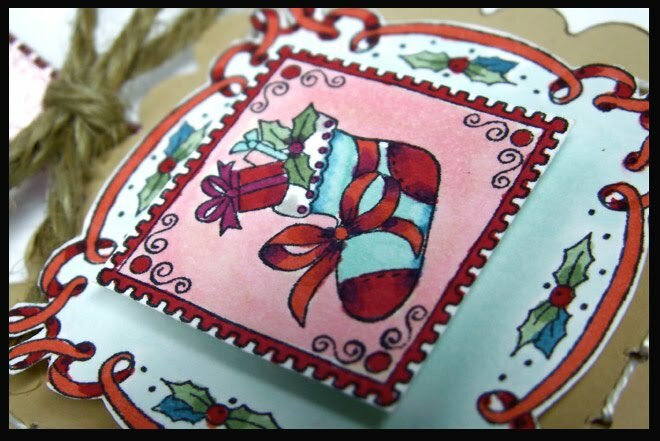 It did not take me long to get into the Holiday spirit when I had such darling stamp sets to work with such as Groovy Snowman, Hearts Come Home, Holiday Cheer and From Our House. Christmas Collection 1 is available now and ready for shipping. The sentiment forms part of the square border. I simply cut a strip out of the border and folded it to form my banner. 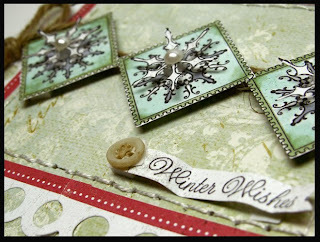 I also cut out part of the snowflake and adhered it to the image with a foam dot for added dimension. The next tag has a more vintage and shabby chic element. 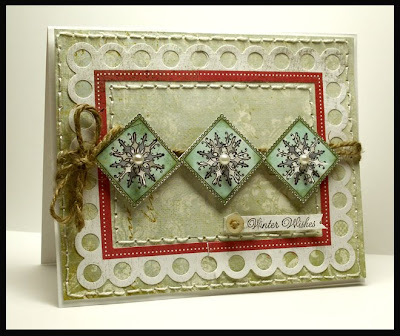 I used the same stamp set and also the Spellbinders Classic Scalloped Square die template.. 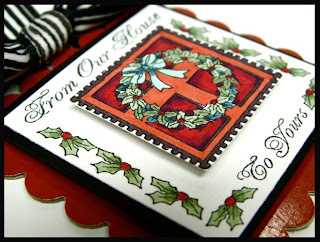 I hope I have inspired you to get a head start on your Christmas cards and tags. Have a safe, happy and cool weekend. Merry Christmas in July & Happy crafting! Very cute tags. Love them!!! Love your card. It is very special. The tags are really nice especially with all the combinations you used. I am blown away with these projects. I am speechless! I love the way you did the inchies as diamonds on the card front, and the colors you chose. I really love the gift tags... beautiful! Love the gift tags. Card is also very beautiful. Great new stamps. Actually starting to really get into the holidays thanks to all of you, even though it is 95 degrees outside here (San Diego, CA). Great projects. Thanks. What a talents young lady you are these cards are beautiful. 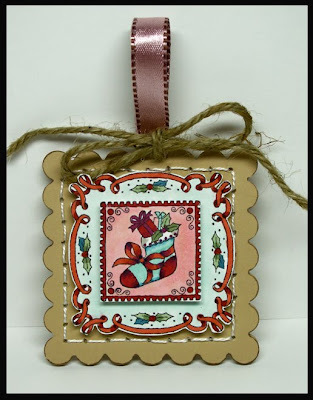 very nice projects - I especially like the little tags - perfect for gift giving. I'm glad you didn't stop at just one, sistah! Gorgeous! I love your card. And the tags are too cute. Wonderful projects, Kazan! Especially love the sweet tags! WOW girl - look at you go!!! So many gorgeous creations and I can't decide which one I like best!! Beautiful designs and awesome colouring!! How I love your combination of colors. Beautiful card and tags. You are getting me in the mood for Christmas! These are seriously lovely--great job! Wowza! So much inspiration here, Kazan! You have amazing talent and thank you for sharing it with us!